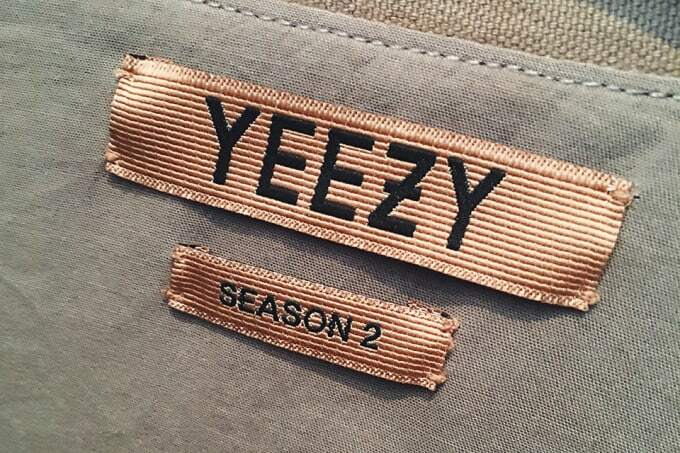 Hot on the heels of Kanye West&apos;s enlightening SHOWStudio interview, and with Yeezy Season 1 almost in stores, Yeezy Season 2 price previews are starting to come around. Long story short, like Yeezy Season 1, Yeezy Season 2 is going to be expensive. But before you hit up Twitter to rant about how "KANYE LIED", you should understand a simple, inevitable fact: Kanye West&apos;s clothes will never be affordable. If you&apos;ve been following West&apos;s live interviews—a period which roughly spans the first Zane Lowe BBC Radio 1 interview to Oct. 6&apos;s interview with SHOWStudio—it&apos;s increasingly obvious that he wants to have a label that goes toe-to-toe with brands listed in the luxury portfolios of conglomerates like LVMH and Kering. When Lou Stoppard of SHOWStudio asked about Yeezy Season 1&apos;s prices, he answered the question by saying he needs the Céline design team, the Nike design studio, and Zara&apos;s factories. For someone who isn&apos;t at all interested in fashion, this basically means he&apos;s trying to fuse the LVMH-luxury of Phoebe Philo&apos;s Céline, with Nike innovation, and produce it at the scale (and price) of Zara. "If I had the opportunity to design for Louis Vuitton now, I wouldn&apos;t. Because the prices [are] just too extreme. And I don&apos;t want to use my message to have kids saving up that much, you know, to be part of what the ideas are. You know, that&apos;s the problem to me with luxury. I don&apos;t agree with everything that H&M and Zara does, but one thing that&apos;s good is they were able to break that idea that creativity and things you want have to cost, like, a million dollars." After seeing the prices of Yeezy Season 1, it&apos;s obvious that his merchandise is priced at Louis Vuitton-levels. As mentioned in his second Zane Lowe BBC Radio 1 interview, he notes that he tapped adidas to "eventually" get to a respectable price point, literally insisting that he won&apos;t "make another $5,000 jacket that you can&apos;t afford." A good intention, but with the Yeezy Season 1 camo trench going for half that, it&apos;s understandable why West&apos;s fans are upset. 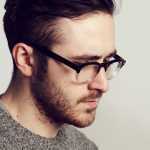 "This is very much a Robin Hood approach that I have to making clothes. Before, the companies, the big groups, the LVMHs, the Kering Groups, created the workplace [for] the beautiful souls that go and dream of fashion their entire lives. [They] go to the Harvard of design, Parsons, or the Yale of design, Saint Martins, they dream of one day being a part of the magic that fashion week creates and what these lines create. And they felt that if they worked in mass [market], which had—past tense—a negative connotation, that their dreams would be stepped on, crushed, and they would be thrown in some office in the garment district and never get to feel the glory of the true Paris runway.​"
Look at the way West discusses luxury brands; he&apos;s not condemning them for design, he&apos;s looking at them as symbols of the classist barriers that block people from entering into the luxury spaces they rule over. They&apos;re places designers should aspire to work at, but young designers are blocked from such success by their school and/or work history. West wants to design clothes in the same way (and at the same level of quality and reputation) as Céline, Louis Vuitton, Ralph Lauren, Raf Simons, and Saint Laurent. Can you walk into a store planning to buy any of those brands, and expect to walk out without spending more than $200, $300, $400? Nah. Producing a luxury product that&apos;s worthy of the name isn&apos;t cheap, and it&apos;s ultimately the reason that Yeezy Season 2 is so pricey. Even Yeezy Season 2 is produced in Europe, so you know that even when adidas isn&apos;t involved, West still wants to make product at the highest level. If Kanye West wanted to make affordable clothing, he has two options: He can either produce massive amounts in Zara&apos;s ultra cheap, literally toxic third-world factories while sacrificing his design integrity by using less expensive materials and unskilled, severely underpaid laborers; or he can produce expertly designed, crafted, and detailed luxury clothing at the expense of affordable pricing. Either consumers need to realize they need to pay more for quality clothes, or the companies should be more willing give up a small portion of profits for the sake of a better product (and better quality of life for employees). The tirades against class aren&apos;t necessarily about accessibility, they circle back to his personal frustrations about high-fashion&apos;s hesitance to work with a celebrity name. While West understandably points to his successes with his footwear as the reason people should trust his designs, the fashion community clearly never found those successes as ways to legitimizing him. Think about your older relatives—do they know about hyped up sneaker releases? Unless you have super cool grandparents, the answer is obviously no. The community West was trying to break into had little respect for the sneaker market (which, whether explicit or implicit, shouldn&apos;t be a stretch to believe) when compared to creating luxury lines, and so they didn&apos;t trust him to helm a major company that had survive on the strength of his apparel. Sure, West targets the LVMH and Kering crowds in his SHOWStudio interview by pointing out that they only noticed him after he connected with Balmain, Givenchy, and Nick Knight. Remember the poorly received high-fashion attempt that was DW by Kanye West? These Yeezy Season collections are just the latest chapter in West&apos;s ongoing obsession with the fashion world. They&apos;re another reminder that Yeezus wants to fit in with the fashion gods, and he needs those high fashion gods to both help him design his collections and help him produce and sell them. So when West made those earlier promises of affordable clothing back in 2013 and early 2014, he was looking at his label from the outside. But clearly his intentions are to build his label as its own proprietary thing—not an extension of rapper/producer Kanye West, but a new fashion label that happens to be helmed by a guy named "Kanye West." The clothes he&apos;s produced do prove that he has a vision. At best they reveal him to the public as full-on fashion designer; at the very least, a Raf Simons disciple. But only time will tell if they actually deserve the hype.